Tu Youyou (Chinese: 屠呦呦) is a Chinese pharmaceutical chemist and educator. She is best known for discovering artemisinin (also known as qinghaosu 青蒿素) and dihydroartemisinin, used to treat malaria, which saved millions of lives. Her discovery of artemisinin and its treatment of malaria is regarded as a significant breakthrough of tropical medicine in the 20th century and health improvement for people of tropical developing countries in South Asia, Africa, and South America. For her work, Tu received the 2011 Lasker Award in clinical medicine and the 2015 Nobel Prize in Physiology or Medicine jointly with William C. Campbell and Satoshi Ōmura. Tu is the first Chinese Nobel laureate in physiology or medicine and the first female citizen of the People’s Republic of China to receive a Nobel Prize in any category, as well as the first Chinese person to receive the Lasker Award. She was born and educated and carried out research exclusively in China. Tu Youyou delivered her Nobel lecture on December 7, 2015 at Aula Medica, Karolinska Institutet in Stockholm, titled Discovery of Artemisinin – A Gift from Traditional Chinese Medicine to the World. In her lecture, she stated that her systematical study of the Traditional Chinese Medicine (TCM) prepared her well for her research that eventually discovered artemisinin. While researching on anti-malarial herbal medication, she compiled all classical TCM books and local articles on anti-malarial herbs, and interviewed many TCM doctors and collected their herbal formulas for treating malaria. This work formed a solid foundation for her research on discovering artemisinin, the active ingredient in the herb known as sweet wormwood (Artemisia apiacea). Chinese people have been using sweet wormwood as medicine for thousands of years. Formulas for Fifty Two Diseases, the oldest TCM book ever found, was written during the Western Han Dynasty (206 B.C.-A.D. 24). In it, one can find formulas that used sweet wormwood as an ingredient. Many later TCM books, such as Sheng Nong’s Herbal Classic and Compendium of Materia Medica, also included formulas that used sweet wormwood. After Tu Youyou’s research team decided to focus their work on discovering the active ingredients in sweet wormwood, they run into a bottleneck with the extracting method. After many failed attempts using the traditional high temperature chemical extraction method, she again turned to TCM books for solution. Inspired by the book Zhouhou Beiji Fang (Handbook of Prescriptions for Emergency), written by a Taoist practitioner Ge Hong (283～363 A.D.), in which he stated “to treat malaria, soak the sweet wormwood plants in water, and then have the patient drink the solution”, Tu Youyou realized that the high temperature used during extraction might have destroyed the active ingredient. She started to experiment with other extraction methods using low boiling point solvents, and eventually successfully extracted artemisinin, a chemical that has a 100% inhibition rate on Plasmodium, the parasites that cause malaria. So, who is this Ge Hong, who knew how to treat malaria with sweet wormwood over 1,600 years ago?Ge Hong (Chinese: 葛洪; courtesy name Zhichuan (稚川) ) was a famous Taoist practitioner, medical doctor, and alchemist during the Jìn Dynasty (265-420 A.D.) of China. One of his books had the earliest records of rabies and smallpox in the world. He was not interested in fame and fortune, but preferred a simple life. He is very kind to the people, often helping out neighbors in need. For those who were sick that came to him for help, but could not afford to pay, he would treat them for free. He gained great respect among the people, and they started call him Baopuzi (抱朴子) , meaning “The One Who Embraces Simplicity”. He liked the name and ended up using it as his sobriquet. ), a representative collection of his medical knowledge, the book that inspired Tu Youyou for her research, recorded many practical methods and formulas that can treat a variety of medical emergencies. Ge Hong compiled and tested many methods and formulas for emergency uses during his years of practice, and chose for his book those that are effective, with ingredients that are cheap and easy to find. Before his book, medical formulas for emergency uses were generally hard to understand, and their ingredients rare to find and expensive. He wanted to write a book that is very practice for everyone to keep on hand. One of Ge Hong’s medical focuses was on acute illnesses, most of which are what we currently refer to as acute infectious diseases. He wrote “acute illnesses are not caused by evil spirits as commonly believed, but by factors from the outside environment”. Modern medical research revealed that infectious diseases are caused by microbes. Microbes can only be seen with instruments such as microscopes. However, over 1,600 years ago, without the help of modern technology, Ge Hong has already discovered that infectious diseases are caused by physical environmental factors. Baopuzi (抱朴子), another important book of his, is a collection of his philosophical theories and academic achievements. It includes two volumes of essays and alchemical writings totaling seventy chapters. Ge Hong contributed the Neipian (Inner Chapters) volume of the Baopuzi to his Taoist theories and practices, and the Waipian (Outer Chapters) volume almost entirely to social and literary criticism. Three chapters in this book, “Jindan” “Xianyao” and “Huangbai” are now considered classical writings on ancient Chinese alchemy. One of Ge Hong’s many achievements is using alchemical methods on the making of external medicine. He refined mercury, and used it as a major ingredient in external medicines that treat mange and skin ulcer. His work is 800 years before when European doctors first started to use mercury in treating these types of diseases. The scientific society worldwide considers Ge Hong a pioneer in pharmaceutical chemistry. In the Neipian (Inner Chapters) volume of the Baopuzi, Ge Hong included many incisive discussions on health, causes of diseases and medicine. He believed that medical practice is a way to pursue “Tao”, and emphasized that “those who practice Tao should save people from danger and diseases”. He believed that internal factors are more important than external factors when it comes to diseases. If one’s body is strong, he is less likely to catch diseases caused by external factors. He also emphasized on the importance of prevention, stating that a good doctor should prevent a disease from happening, rather than treating it afterwards. He also pointed out the importance of psychology and emotion on a person’s health. During his later years, Ge Hong still maintained perfect health. He was still seeing patients, and cured many. The people respectfully called him “Immortal Ge”. The story goes that one day, he sent a letter to a friend saying “Farewell, my friend. I am leaving today and going far way to find a teacher. ” When the friend got to his house, he found that Ge Hong has passed away during meditation. Taoists believe that the way of his passing shows that he has reached enlightenment, and ascended to heaven. Dr. Ming Wu, Founder of Taoist Institute of TCM , AOBTA-CP. Ph.D. is a doctor of Chinese Medicine, a third generation Chinese Herbalist, Master Tai Chi and Qi Gong practitioner. He has studied Tai Chi and Qi Gong in China and US for more then 40 years. He has studied Tong Ren Therapy with Master Tom Tam since 1994. He has received authentic Yang Style Tai Chi instruction from his Sifu Grandmaster, Gin Soon Chu, disciple of Yang Sau Chung. Dr. Ming Wu has been teaching Tai Chi and Qi Gong in the US for over 20 years. 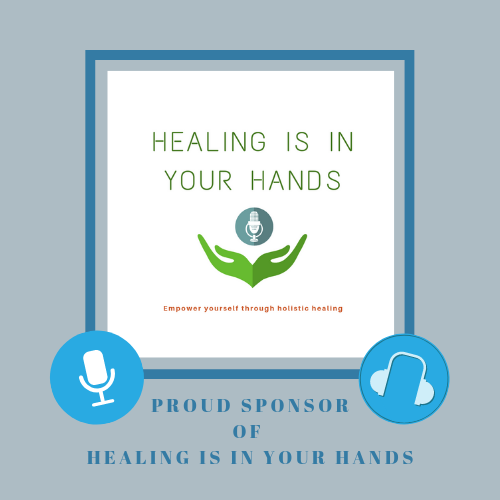 He has dedicated his life to healing and teaching others how to live healthy and healing lives. Qi Gong is an integral element of Dr. Wu’s healing practice and is supported by his years of research in energy, medicine, and meditation. The mission of Taoist Institute of TCM Inc is to provide world class TCM, Tai Chi and Qi Gong practitioners focused on empowering Chi, enhancing health and healing the mind, body and spirit using diverse bodywork therapies. Provide long distance Taoist TCM educational class for family to heal each other and spread Taoist TCM to the world.